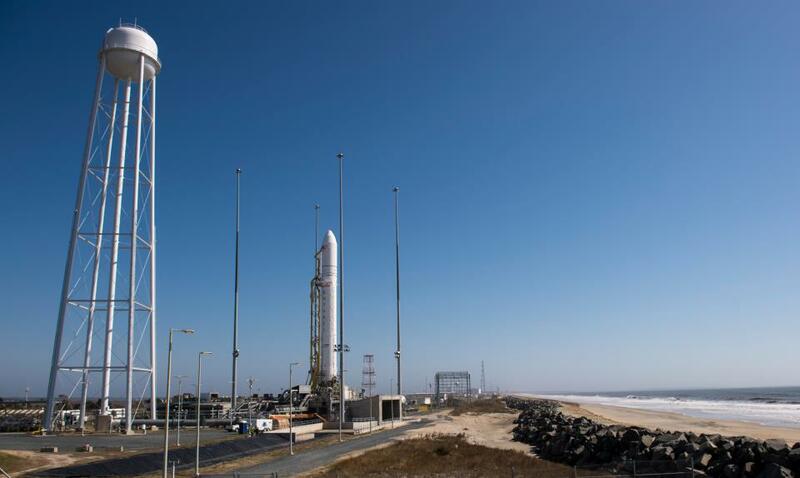 Three PhoneSat CubeSats with amateur radio payloads were launched on an Orbital Sciences Corporation Antares(TM) rocket from NASA’s Wallops Flight Facility (WFF) in eastern Virginia on Sunday, April 21. The callsign of all three satellites is KJ6KRW and they transmit using AFSK (1200 bps) modulation, AX.25 packet coding. The two PhoneSat 1.0 satellites, Graham and Bell, transmit with a periodicity of respectively 28 seconds and 30 seconds. The PhoneSat 2.0 beta satellite, Alexandre, transmits with a periodicity of 25 seconds. PhoneSat was chosen as one of the winners in the Aerospace category for the Popular Science magazine “Best of What’s New 2012″ awards. The PhoneSat is a technology demonstration mission consisting of three 1U CubeSats intended to prove that a smartphone can be used to perform many of the functions required of a spacecraft bus. The satellite is built around the Nexus smartphone which will be running the Android operating system and will be enclosed in a standard 1U CubeSat structure. The main function of the phone is to act as the Onboard Computer, but the mission will also utilize the phone’s SD card for data storage, 5MP camera for Earth Observation, and 3-axis accelerometer and 3-axis magnetometer for attitude determination. One of the nanosatellites, powered by the HTC Nexus One smartphone, will send back pictures of Earth. The other two, running on the Samsung Nexus S, will have two-way S-band radio allowing them to be controlled from Earth. An updated website with telemetry info is now available. The Antares launch included the commercial DOVE-1 satellite, a technology development experiment that is believed to be using 2420 MHz. Thanks to AMSAT News Service (ANS), AMSAT-NA, AMSAT-UK and Samudra Haque N3RDX / S21X for the above information.